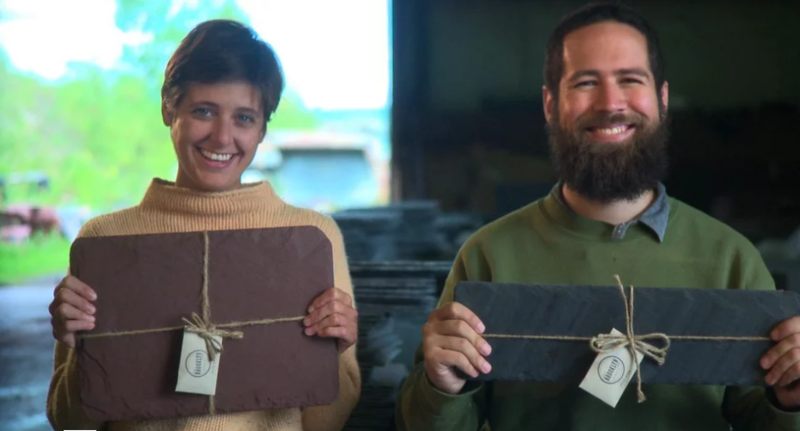 Brooklyn Slate Company is a collaborative effort from Brooklyn graphic designer Sean Tice and Parsons graduate student Kristy Hadeka. After visiting Kristy’s family slate quarry in upstate New York in the spring of 2009, the two grabbed a few pieces for use as all purpose boards back home in Brooklyn. They found a number of purposes for the slate — as trivets for tea kettles and hot dishes to coasters for beers — and began gifting pieces to friends. 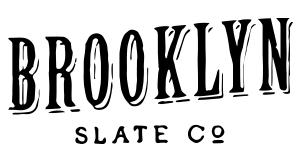 The response was so overwhelmingly positive that the two struck out to produce a line of slate products. We now make regular trips to the family quarry in upstate New York to hand pick our favorite pieces of black and red slate. Some of our slate is sourced from the quarry “graveyard”, or collection of odd shaped pieces that were ultimately destined to be ground for use as road cover or baseball diamonds. We then transport the pieces to our studio in Red Hook, Brooklyn, where we do additional cutting and clean the stone to be food safe. 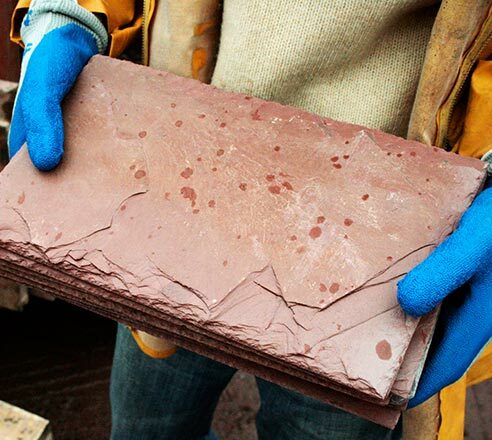 In order to achieve the rough look of our unfinished pieces, we chip the edges with a slate cutter and other tools. We finally assemble the packaging in small batches. Every single piece of packaging that comes with our products — from the envelope to the burlap bag — can be repurposed for other uses. The end result is a product completely unique in cut, shape, color, and overall presentation. "Now, locavores can present New York cheese on New York stone from Brooklyn Slate... 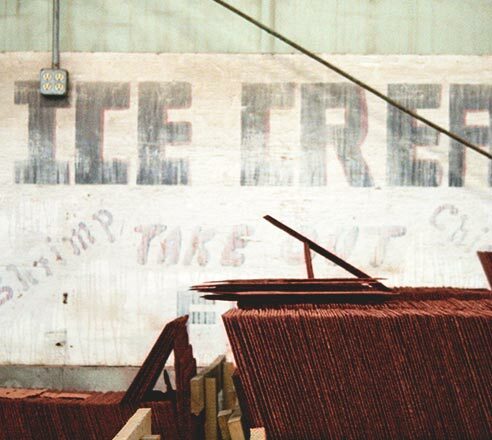 They cut and finish the stone to be food-safe, and sell various sizes, packed with a soapstone marker, cushioned feet and a burlap storage bag."